“Hoop It Up” this summer with Hoops 101 Basketball at NSDC! North Shore Day Camp is excited to bring back Hoops 101 Basketball this summer to be apart of our fantastic Camp Within A Camp program this summer! Hoops 101 will run a week-long basketball camp on NSDC’s campus from July 31st – August 4th for campers in 1st through 6th grade. 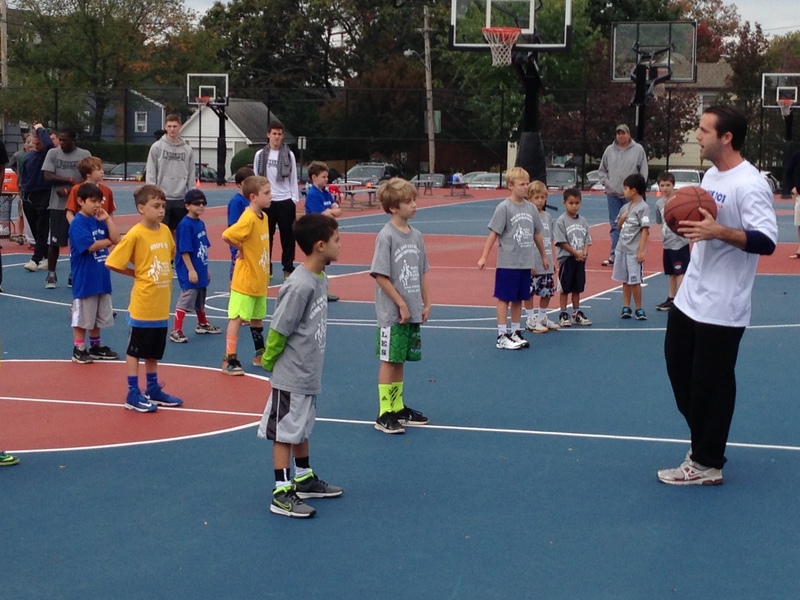 Hoops 101 is a premier youth basketball organization on Long Island, with truly cutting edge philosophies and coaching methods for children of all ages and abilities. Mike Kelly, the founder of Hoops 101 has coached at the highest level as a Division I basketball coach. 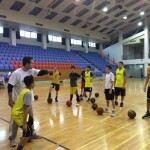 Mike spent countless hours thinking about how to utilize and package many of the coaching techniques, skills and drills delivered to our country’s best basketball players. We believe Mike has “cracked the code” and developed a program that is fun and relatable to young children. NSDC could not be happier to have Mike and his team working with our campers this summer! We sat down with Mike to learn more about what led him to create Hoops 101, his philosophy on teaching basketball to young athletes and what we can look forward to this summer! What is your background? When did you start Hoops 101, and what inspired you to do so? I played basketball and ran track at Haverford College, where I graduated with a degree in Mathematics. I am currently a Division II Assistant Coach, in our first year as a staff, at Adelphi University. Hoops 101 started in the summer of 2012. Over the years I had observed a number of youth basketball organizations, programs, and camps that lacked substance, in regard to the amount of teaching that was going on. I observed a lack of effort when it came to the genuine engagement that staffs had with the players participating in their event. In addition to this, I observed basketball learning environments where aspiring players were being yelled at, screamed at and spoken down to, more often than not, as opposed to being educated in a positive way. Our goal was to create a program geared towards giving aspiring players the best basketball education possible, in terms of learning how to improve their individual skills and in terms of learning how to play. 1 day clinics that run on a particular day of the week for about an hour or so. 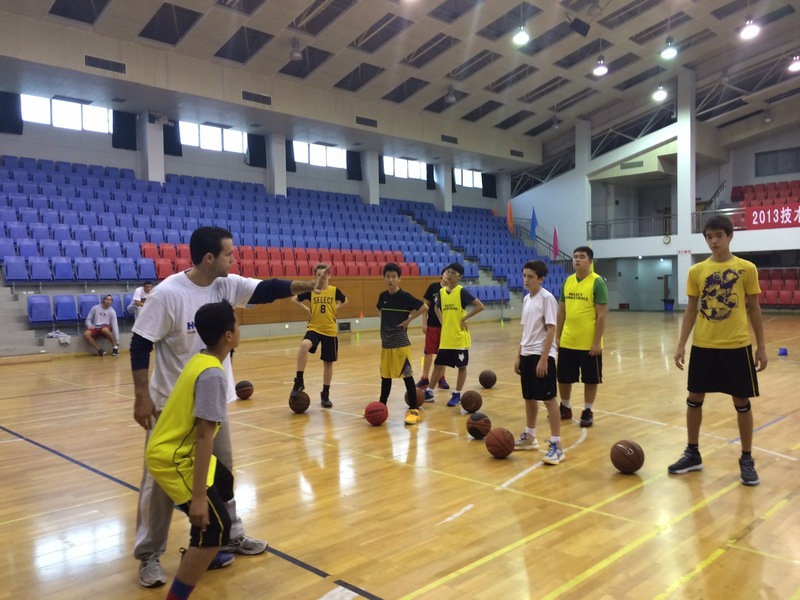 2-3 days clinics where we work with a group of players for 2-3 hours per day. 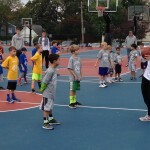 8 to 9 weeks of summer camps in a variety of towns on Long Island. 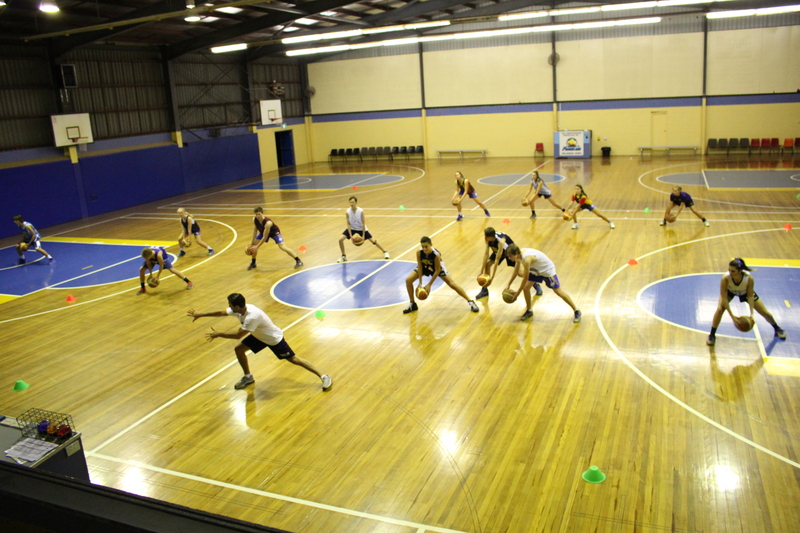 Each camp is a week-long and structured as a 3 hour mini-day or a 6 hour full-day session. 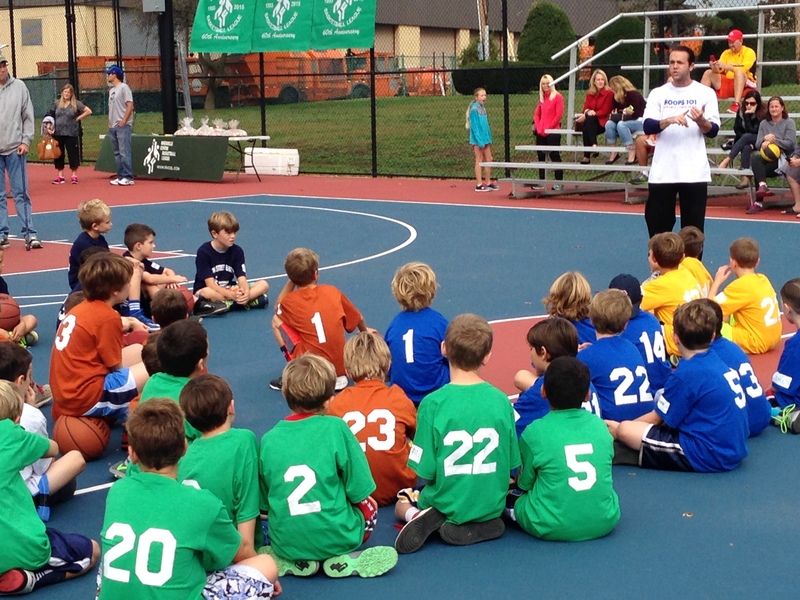 At Hoops 101, we “talk” to our players. We do not yell and scream. We emphasize the importance of making mistakes and understanding that it is okay if they do not do everything correctly or perfectly. We emphasize the PROCESS as opposed to the end result. We want the “pressure to be perfect” removed from our learning environment. We believe that players who are able to get out of their comfort zones will better realize the potential they have. Hoops 101 prides itself on being an organization that uses basketball to build self-esteem and self-confidence. What makes your program different than the numerous other basketball programs out there? Hoops 101 combines a fun and positive learning environment, with a high level of skill development training/basketball education. Our goal is to ensure that each player leaves a Hoops 101 event feeling good about his or herself. We also pride ourselves in helping players to better understand how to take what they have learned at our events, and then go work on it by themselves when they leave. 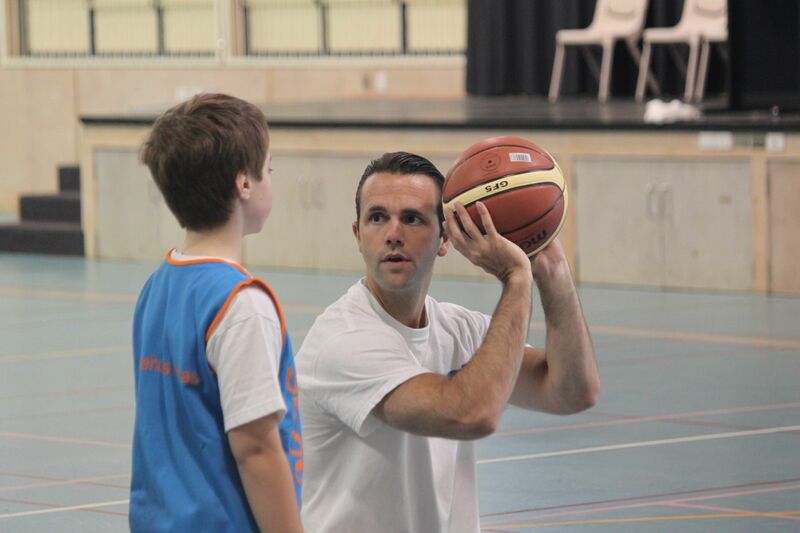 Our coaches have a passion for working with aspiring players and a passion for the game of basketball. 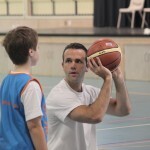 Our coaches are genuine people and believe wholeheartedly in the Hoops 101 project and what it is all about. 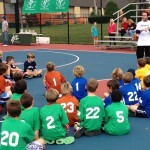 What can camp families expect their kids to get out a week-long camp with Hoops 101 this summer? NSDC campers will have a lot of fun with the different drills and games that we use in order to help them to improve as players. NSDC campers will leave feeling good about themselves. Basketball may not be their favorite sport, but we pride ourselves in making sure that even if this is the case, players leave wanting to come back to learn more, and have some more fun! CLICK HERE for more information and to enroll in our Camp Within A Camp program—please note there will be a limited enrollment so if you are interested please do not wait to enroll.